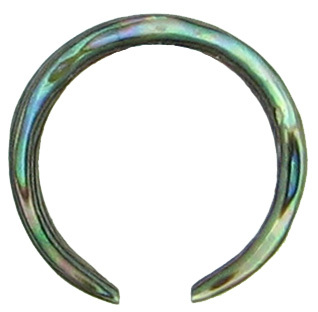 This handmade Abalone Shell Septum Ring is a beautiful and unique piece of jewelry for your septum piercing. 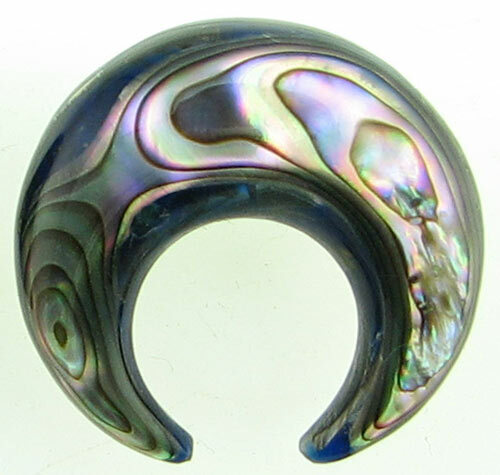 Natural coloring of the abalone shell ranges from blue, green and black with touches of orange and yellow. 00 gauge size has an overall outer diameter of about 0.95" and an inner diameter of about 0.5". 14 gauge size has an overall outer diameter of about 0.6" and an inner diameter of about 0.5". 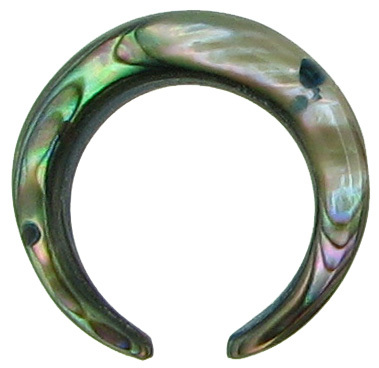 Natural abalone shell colors range from green, blue and black with yellow, orange and pink (please contact us if you want a specific overall diameter measurement or specific color). 17 gauge 16 gauge 15 gauge 14 gauge 13 gauge 12 gauge 11 gauge 10 gauge 9 gauge 8 gauge 4 gauge 3 gauge 0 gauge (+$8.00) 00 gauge (+$8.00) Select your gauge size and click "Add to Cart".